Is there a better alternative to NTFS-HFS Converter? Is NTFS-HFS Converter really the best app in Storage category? Will NTFS-HFS Converter work good on macOS 10.13.4? 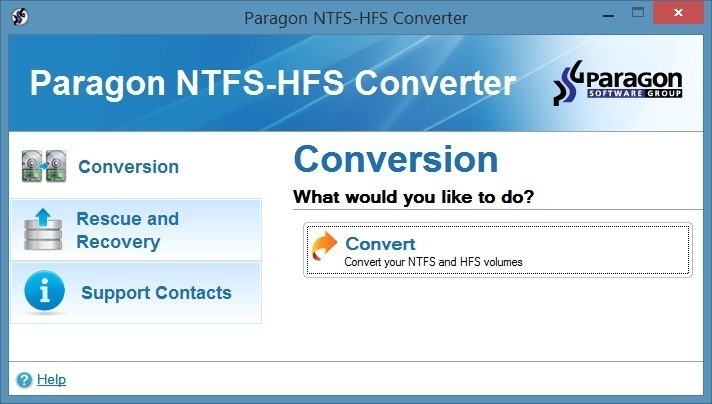 NTFS-HFS Converter is a specially designed utility, that converts NTFS volumes to HFS+ volumes, or HFS+ volumes to NTFS. This utility consists of a wizard that helps you select the desired volume for conversion, gives you the option to back it up, then quickly performs the conversion. NTFS-HFS Converter needs a rating. Be the first to rate this app and get the discussion started!